1.8% unlimited cashback for every purchases is very attractive. 0% APR for 15 months. Your APR can be quite low if your credit worthiness is good. You don't need to pay for annually. There is no foreign transaction fees for this card. Online customer support is available at application pages which we really like it. 3% cash advance fee rate is very unique. 4% for balance transfer is good. There is also 0% APR for balance transfers. There are many good travelling services in the card. APR is a little bit high but 1.8% cash back rates doesn't make it any problem. 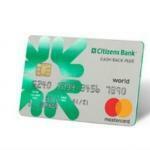 Citizens Bank Cash Back Plus World Mastercard is providing %1.8 cash back service for customers. It is unlimited and you will go on to earn with the card until you cancel your card. There is also awesome online customer help awaiting for you when you enter to the website. Travel services of the card is really awesome. You will get services like travel & baggage insurance, extended warranty protection, zero liability protection with this card. 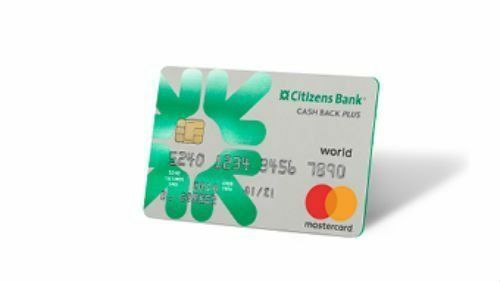 There is no annual fee and there is also no foreign transaction fee in Citizens Bank Cash Back Plus. 24.49% Cash Advance APR is reasonable. I am not a citizen of USA. Can I still apply for this card? There is not much information on this at the website of Citizens Bank. You will need to call 1-888-333-5145 to get more information on this. Welcome to our community. If you ever get the card, please don’t forget to leave a feedback here!